CHECHESMITHNATION : Ghanian Ex Beauty Queen, Selly Gally Sizzles In Pretty Designs! 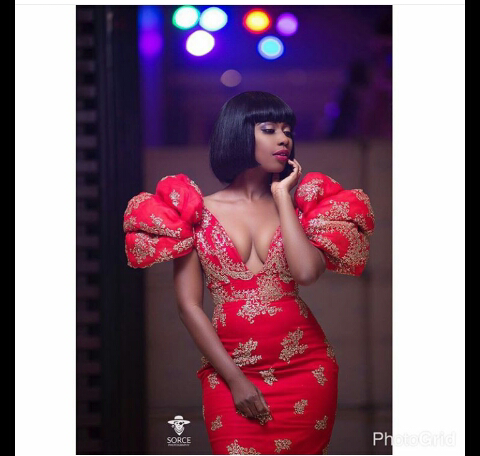 Ghanian Ex Beauty Queen, Selly Gally Sizzles In Pretty Designs! This pretty dress that featured puffy hands and plunging neck was made by Ghanian designer Sima Brew and slated by Selly. We love her full fringed Bob hairstyle. How I Rocked My One-Piece Harem Jumpsui!! Gabby Union Slayed In This Floral Number!! Csn Golden Globes 2017 Best Style Picks!! !